The 2017 Ashden International Conference, hosted by Bloomberg New Energy Finance, was an opportunity for clean energy innovators, industry leaders, NGOs, investors and academics to get together, present and discuss current themes and trends in the sustainable energy world. 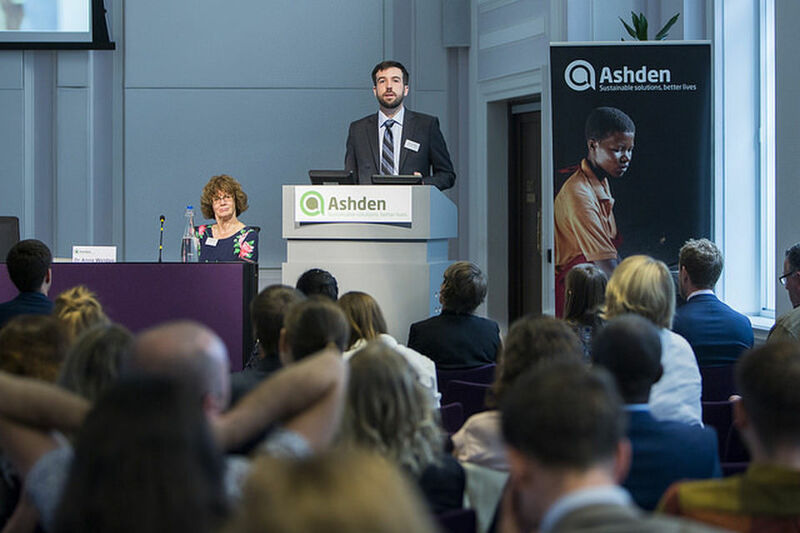 Read our blog about this eventSpeakers at the Ashden International Conference in 2016 with chair Dame Jenni Murray. Disruptive technologies and opportunities for clean energy: The private sector is helping drive clean energy innovation in developing countries. Hear from businesses at the cutting edge of this and discuss the impact new products and innovations will have on markets. Expanding to new geographies: In many places, access to clean energy remains low. Hear from Ashden winners making energy affordable and accessible in new and challenging areas via innovative distribution channels. Developing local skills and capacity: Having the right people with the right knowledge and skills in the clean energy sector is crucial to its success. What are the current challenges and opportunities in developing the capacity needed to help the clean energy businesses thrive? Low carbon development in burgeoning cities: To achieve low carbon development, innovation in clean energy must be accompanied by a step change in sustainable buildings and transport systems. Hear successful examples from around the world and discuss the potential for replication.